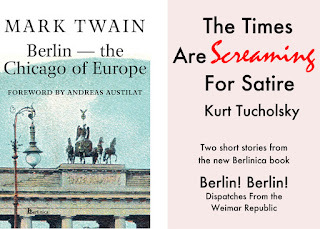 There is also a gift for everybody who signs up for our newsletter; an e-book either about Mark Twain in Berlin, or a famed story by Kurt Tucholsky, The Times are Screaming for Satire. 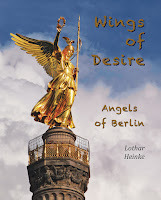 In addition, we will raffle off two e-books among friends and fans of Berlinica on our newsletter list: One copy of Wings of Desire — Angels of Berlin, by Lother Heinke, and one copy of Leipzig! One Thousand Years of German History. Bach, Luther, Faust: The City of Books and Music, by Sebastian Ringel, both of which are beautiful books with many color pictures. Leipzig will turn 1000 years on December 20, 2015, so this is the occasion. Also, if you want to buy the print book, you can now do it directly from out website. We are selling Leipzig! with a 20% discount from its list price of $24.95, including shipping, so, it's only $20.00. Erik Kirschbaum, author of Burning Beethoven. 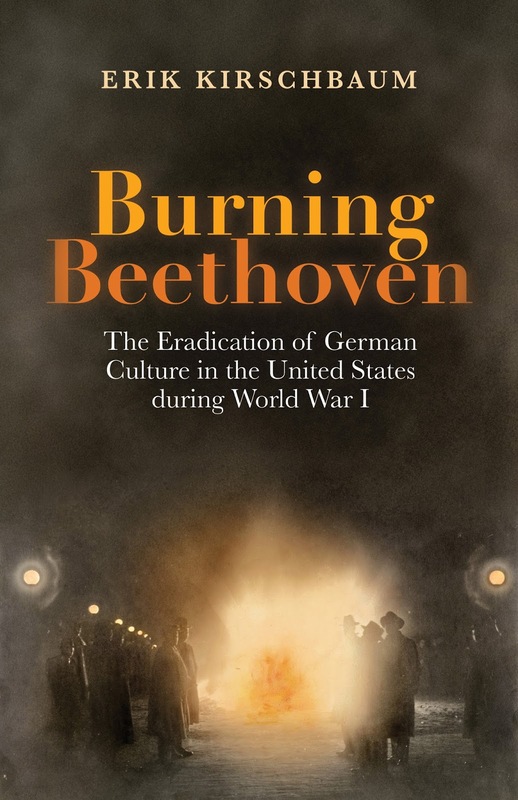 The Eradication of German Culture in the United States During World War I; which deals with the experience of German-Americans during the war, has been mentioned at the History News Network by Roy E. Finkenbine, Professor of History and Director of the Black Abolitionist Archive at the University of Detroit, Mercy. "My own German-American ancestors experienced many of these changes wrought by the war. The Finkenbines left Baden for the wilderness of western Ohio in 1833. For more than eight decades prior to the conflict, they worshipped, prayed, memorized Luther’s Small Catechism, conversed, courted, studied, raised families, farmed, and conducted business in German. Wartime paranoia about the “Hun” radically altered their behavior." Read the whole text here. Advent, Advent .... Happy Birthday, Leipzig! Advent, Advent ... the Days of Hanukkah! Advent, Advent .... December 4, 1943.